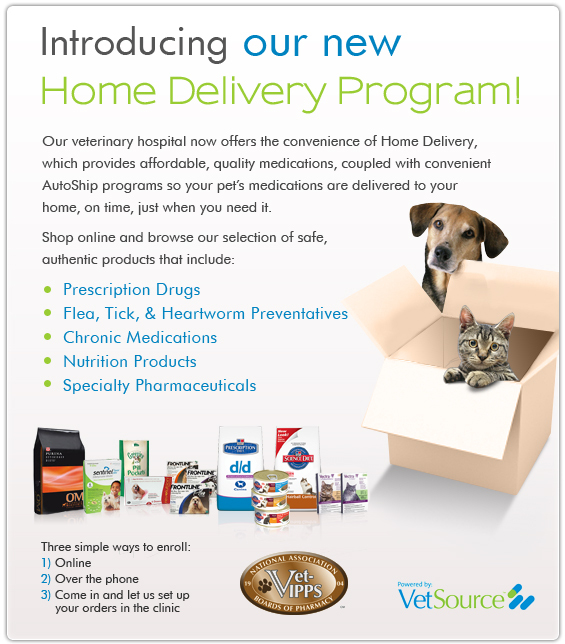 Order prescription and non-prescription medications directly from Lakewood Veterinary Service at extremely competitve prices, delivered to your door saving you time and money. Please visit our online pharmacy and register to take advantage of this service. Once registered you will be able to shop from the convenience of your home at any time. For medications please allow a one week lag time for shipping to ensure you do not run out of needed medications.